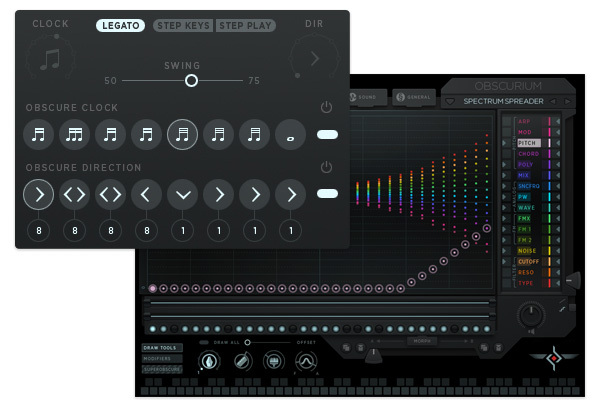 Obscurium | Synthesis Tool with VST Host & Generative Pitch. 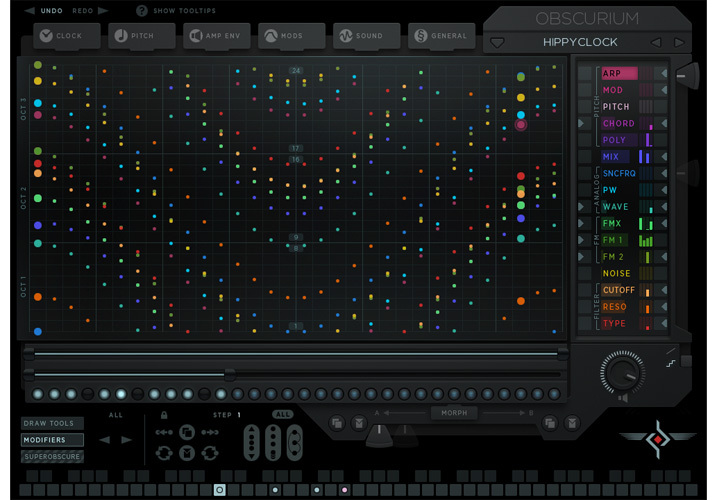 Obscurium is a synthesis tool for sound and pitch. 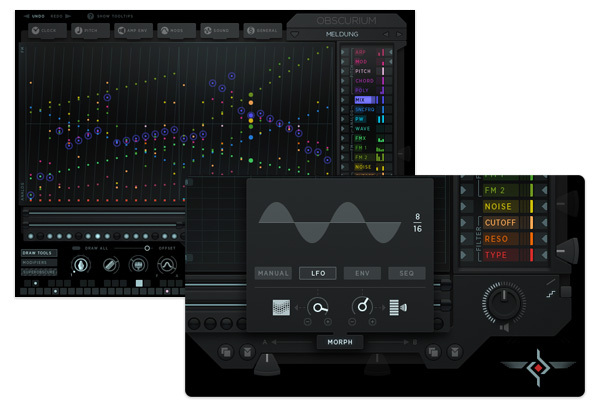 It feeds on your input of scales & chords to produce futuristic soundscapes and vivid harmonics. 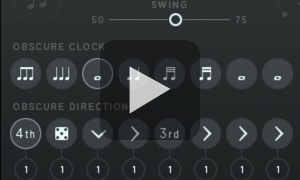 Obscurium animates you to explore new paths to creation of music & sound design. 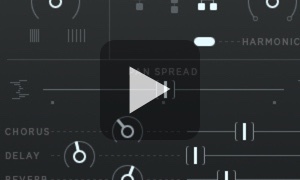 Like a modular system, it allows for most complex circuits, yet remains easily accessible. 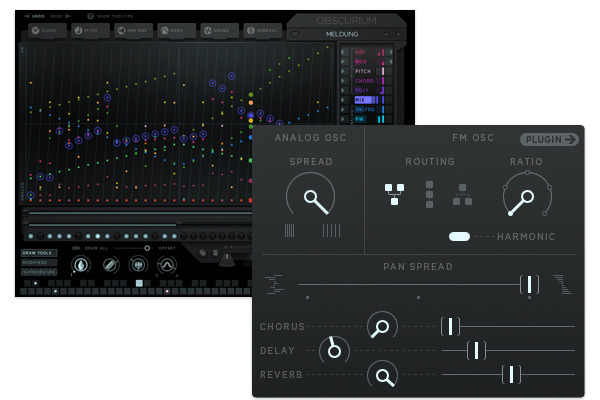 It will change your process of making music, to a fun and playful state of flow and you’ll come up with patch after patch of cool melodic and chordal passages that intiate new tracks. Never mind the possibilities of the VST synth integration! If you are sound designing for films, adverts or games, if you are looking for a fresh short cut to your creative cloud, give it a go! The Super Obscure Mode automatically draws sequences in most various ways. The Modifiers paint all parameters at once: while setting individual steps you can define their sound. Step by step a different sound – this is the agenda here. You can host any of your sound generator plug-ins for fresh sounds. Obscurium sends trigger, pitch and 11 automation lanes. 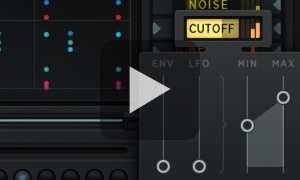 Take your plug-ins to new levels! 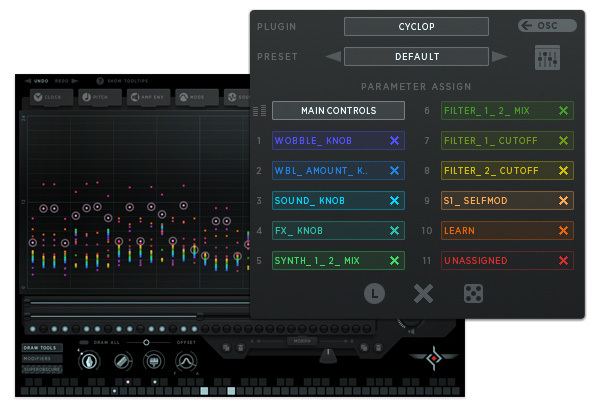 Setting this up couldn't be easier - pick any of the plug-in's presets, use a random mode to assign parameters or use the Learn function in Obscurium's hosting options. We implemented the unique possibility to rotate parameters and their motion lanes. Organic and complex sound changes just blossom around you with a tender touch of these faders. 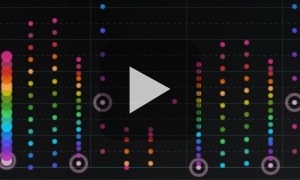 This feature can be modulated for endlessly evolving results. 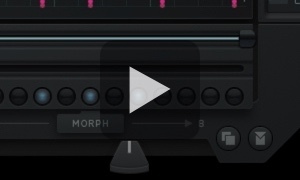 Additionally you can morph between two sequencer states (copy and paste between the two states is very useful!). That makes it possible to vary parts of a sequence while it repeats. The clock tab regulates the master speed, swing & direction. 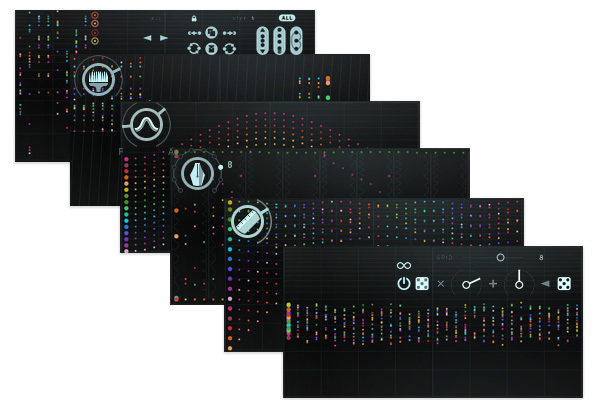 Combine its 2 mini sequencers for clock and direction with the main sequencer for finest colorful rhythm tapestry. 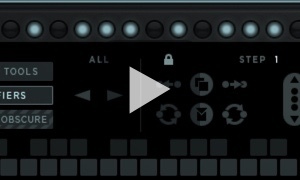 Sequencer steps can be assigned to MIDI notes, playback speed and direction might change at any time. A different sound for each note of a melody and tumbling rhythms, rolls and triplets, ready to be explored. There wouldn't be any better to get a grip on Obscurium than Tom Cosm. Rummage around in these sounds...They give a pretty good idea of what Obscurium is capable of. 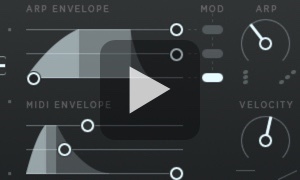 Better yet: check out the demo - the modulated presets are a feast for ear and eye. The presets are a good inspiration and starting point for your own ideas. Obscurium invites you to experiment!